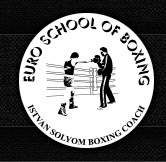 Contact Istvan to book a private lesson, or to find out more about what the Euro School of Boxing can offer. If you want a serious fitness work out Istvan can cater personal training sessions for you, incorporating the skills and techniques which boxing offers. Istvan is available for mobile boxing lessons around the Eastern Suburbs and Sydney City. If you prefer private lessons outdoors or near your home, then give Istvan a call and organise a private lesson.